THE ‘Screen For Life’ dedicated mobile screening unit continues to play an increasingly influential role in raising cancer awareness levels across the country. In recent months the unit has visited four prime locations in Qatar, offering breast screenings for eligible women and distributing key information about the importance of screening in the early detection of cancer, in addition to the benefits of the ‘Screen For Life’. Serving people and engaging with communities, who cannot easily access one of the fixed ‘Screen For Life’ screening facilities at Al Wakra, Leabaib and Rawdat Al Khail Health Centers, the mobile unit visited Abu Baker Health Center and Madinat Khalifa, offering complimentary mammograms. The mobile unit also visited the Supreme Committee for Delivery and Legacy (SC) in Al Bidda Tower and Al Thumama Health Center as part of the ‘Screen For Life’ campaign to engage the public in the programme’s objectives. 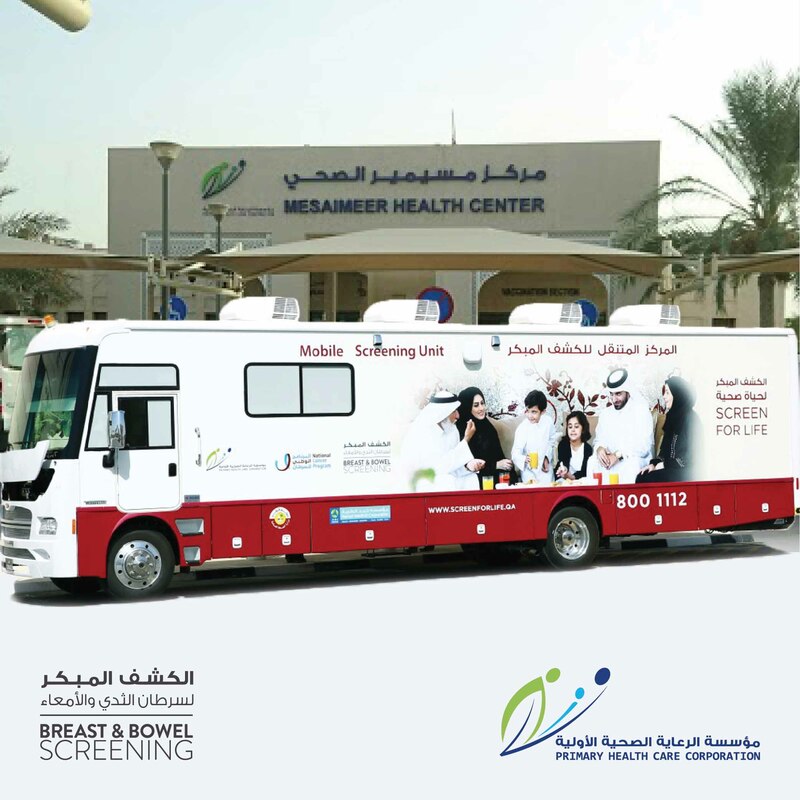 “The mobile unit plays a crucial role for ‘Screen For Life’ in increasing awareness of the programme while also offering on-site screening for women. Staffed by dedicated, highly-professional team members, the mobile unit gives us a unique platform to engage, advise and serve the people of Qatar,” said Dr Shaikha Abu Shaikha, Cancer Program Manager at PHCC. Throughout July, the unit will be stationed at Messaimeer Health Center offering complimentary mammograms. Women can request a screening appointment by calling the ‘Screen For Life’ hotline on 8001112′.